There are several malicious programs that seem relatively harmless, but are highly dangerous for your computer and SSOption infection is one such program. Its full form is Special Search Option (homepage.ssoextension.com). It installs on your computer as a browser extension. However, you don’t have to worry, because the information available in this removal guide will allow you to permanently remove SSOption browser extension from your computer. Other URLs: stgbssint.com, homepage.ssoextension.com, SSOprovide.co. How SSOption installed on your computer? This program is advertised as an option which allows you to run flash games on your computer. Due to this advertising many users end-up installing this adware on their computer. Also, in some cases this infection enters yoThetaSoftur computer without your knowledge when you are installing a freeware which was bundled with this adware. Next thing you find your browser search page is showing pop-ups with texts like, “Ads by SSOption”, “Powered by SSOption”, “Brought to you by SSOption”, etc. Now the best way to restore your original web surfing experience is to implement our removal methods to uninstall SSOption infection from your computer. Why completely removing SSOption important? Adware programs have a nasty habit of reappearing on your computer each time to uninstall them. However, this will never happen with this infection if you follow our removal process. That’s because our removal techniques have been designed to get rid of SSOption infection from any computer, surely and permanently. What are symptoms of SSOption adware? Pop-up ads appear each time you open a web page. Questionable content is recommended through ad banners so that SSOption publisher can earn pay-per-click revenue. You have unknowingly installed other adware programs on your computer. How to stop SSOption from entering your computer? Precautionary measures should be taken to prevent the entry of this adware on your computer. Never install unverified freeware programs on your computer. Prefer Custom or Advanced installation process during software installation and deselect all doubtful options. Regularly scan your computer with an antivirus and an anti-malware program. Following instructions will explain how to remove SSOption from your computer. Our removal instructions describe both manual and software removal methods. Perform steps of your preferred method in correct order to completely remove this adware from your computer. Follow the steps to Remove SSOption. Step 1: Uninstall SSOption from the control panel. Step 2: Remove SSOption from browsers (IE, Chrome, Firefox). Step 3: Remove SSOption from browser’s shortcuts. Step 4: Remove SSOption registry entries from Windows Registry. Step 5: Remove SSOption from computer startup. Step 1: Remove SSOption adware using AdwCleaner. Step 2: Remove SSOption browser hijacker using Junkware Removal Tool. Step 3: Remove SSOption virus using Hitman-Pro Anti-Malware. Step 4: Remove SSOption malware using Malwarebytes Anti-Malware. Method 1: Follow the steps to remove SSOption manually. Uninstall SSOption browser hijacker from control panel which you have accidentally got installed recently. Uninstall recently installed unwanted & unknown programs as well. 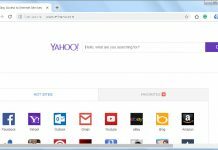 STEP 2: Remove SSOption browser hijacker from browsers. 1) Remove SSOption homepage from Internet Explorer. Remove SSOption homepage from there and set your homepage URL (Website address) as you want at startup. 2) Remove SSOption extension from Internet Explorer. In the right-side pane, right-click on SSOption extension and click on disable or remove also disable all the unwanted extensions from there. 3) Remove SSOption search engine from Internet Explorer. Now remove SSOption extension from there and also remove all the unwanted add-ons. 1) Remove SSOption homepage from Mozilla Firefox. 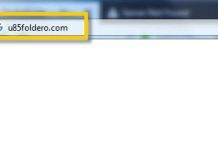 Remove SSOption URL from the homepage field and type the website address as you want. 2) Remove SSOption add-ons from Mozilla Firefox. In the right-side pane, select the SSOption extension and click on remove or disable option. Remove all the other unwanted add-ons from there as well. 3) Remove SSOption search engine from Mozilla Firefox. Go to “One-Click Search Engines” section on the same page, select and remove SSOption from there. 1) Remove SSOption homepage from Google Chrome. Go to “On start-up” section of the settings page. Remove SSOption URL from there and add a website address as you want to open at chrom’s startup. 2) Remove SSOption extension from Google Chrome. Remove SSOption extension from there. 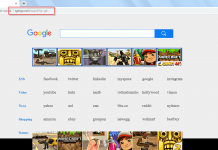 3) Remove SSOption search engine from Google Chrome. Remove SSOption search engine from there. STEP 3: Remove SSOption infection from Browser’s shortcuts. Right click on the icon of Internet Explorer on the desktop then select Properties option, you’ll get a small window, In that window, look on the target field, if you found “SSOption” string in this target field, please remove all the complete URL related to the SSOption. Type SSOption into find box, and click on Find Next button. if it found an entry with the SSOption name in the result, so please replace all them to Google, or you may remove them if you saw suspicious. STEP 5: Remove SSOption suspicious entries from computer startup. Click on Services Tab, and un-check all the SSOption entries. Click on Startup Tab, and un-check all the SSOption entries. Method 2: Follow the steps to remove SSOption automatically. STEP 1: Remove SSOption Adware registry entries using “AdwCleaner” (Free). After reboot, you will be got rid of the SSOption from your computer. STEP 2: Remove SSOption browser hijacker using Junkware Removal Tool (Free). After reboot, you’ll get removed SSOption from your computer completely. STEP 3: Remove SSOption virus using Hitman-Pro Anti-Malware (Free for 30days). STEP 4: Remove SSOption Infection using Malwarebytes Anti-Malware (Free for 30 days). Previous articleWhat is secure-surf.net? and how to remove it?